Indian couture week 2017, organised by The Fashion Design Council of India (FDCI) is celebrating its tenth year and is presenting all the top designers of the country to come together show casting their mystical collection for women and men, and we couldn’t be more thrilled. ICW’17 is an amalgamation of rich textures, astounding silhouettes and breathtaking collections, each of which has a captivating story to tell. It celebrates the cultural diversity of our country and reminds us the beauty that holds deep within India, along with its handcrafting skills and aesthetic pleasures. 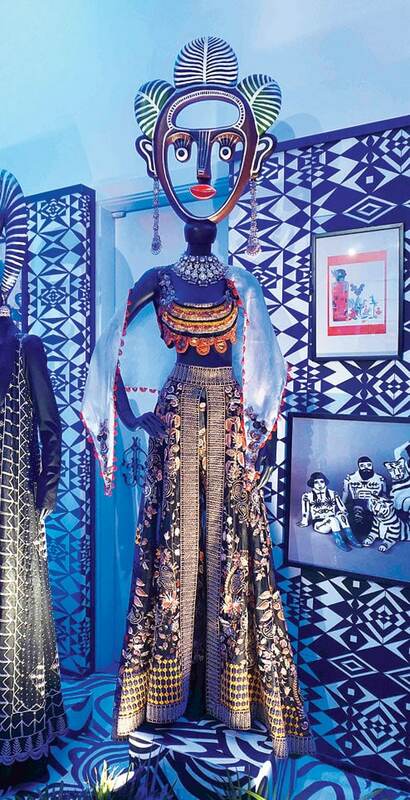 For the opening of the event, that is on 24th of July at The Kila, Mehrauli and The Bikaner House, Delhi, none other than the infamous Anamika Khanna and Rohit Bal were scheduled to proudly present their collections. Anamika Khanna, being the fashion highlight of the country, titled her gorgeous collection ‘Happily ever after’. If you’re in any way being called a fashionista, you probably are lovestruck by Anamika’s creations. After all, the most stylish celebrities of Bollywood are spotted multitudinous times in her outfits; most notably Sonam Kapoor, who without a doubt, is a crazy fan of Khanna. 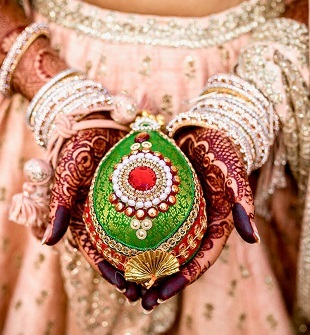 Her style includes traditional Indian textiles with western silhouettes and gorgeous much to turn heads. Her celebrity list includes Sonam Kapoor (duh), Kareena Kapoor, Deepika Padukone, Neha Dhupia, among others. 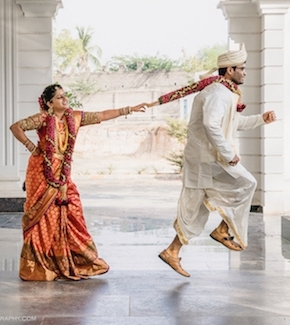 When asked about her thoughts on her collection "‘Happily ever after", she said, “We were looking at the whole wedding which has different functions- Mehendi, lunch, cocktail and the pheras, that's what we are trying to do. We are trying to do the spaces, clothes and jewellery accordingly”. So the bonus point here being, this collection is a one stop solution to the never ending functions of an Indian Wedding. 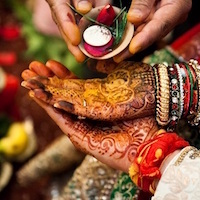 From using gota and dori work for Mehendi function to beadwork and zardosi burnt into black work for the cocktail, everything works charmingly well in ‘Happily ever after’. Same goes for the colour palette: from pastel shades and beautiful pinks to corals and deep red. For the cherry on the cake (i.e the jewellery), the designer collaborated with Birdhichand Ghanshyamdas Jewellers for the pieces of jewellery that went perfectly with her outfits. With his celebrity list going long day by day, his outfits are worn by many celebs of B-town including Sonam Kapoor, Huma Qureshi, Kareena Kapoor, Sona Mohapatra, among others. The show was initiated by the models wearing billowing gowns with long jackets and Bandhgalas. The initial silver and golden threads took a turn for the colourful pieces of couture like maroon, green and blue, which looked just as flawless. To top it all off, were a variety of Swarovski crystals that pulled the whole look together, also slightly inclining towards the Mughal era dressing inspiration. This was the gorgeous collection of these two classy designers at The Indian Couture week 2017 and there is nothing to do but be in awe of it. From the first impression of the design to the final touches, we found everything a piece of delicious candy to the eye. And we hope you did too. Winter is coming and so is the best of the couture week! What do you think? Love the outfits? Hate it? Or you’re just ‘bleah’ with it, do let us know in the comments below. Lots of love, guys!